Siva, the Facilitator Siva, the Facilitator Angkor Style, Ayutthaya c. 17th century. 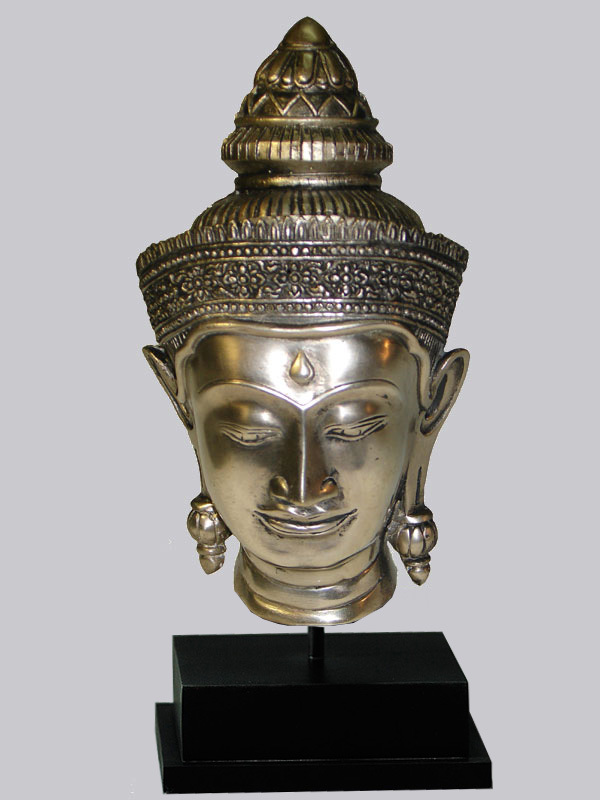 The Hindu god Siva has once worshipped in Thailand as a Facilitator and Agent of Success. Less concerned with truth and Enlightenment, Siva was a pragmatic power to which one turned for victory in war and success against personal enemies. Broadly revered as the divinity of ways and means, Siva was particularly popular among administrators and courtiers in the Ayutthaya period. Here the uncompromising frontality imparted by its large open eyes and fixed gaze conveys the practical and worldly concerns of this non-nonsense divinity. 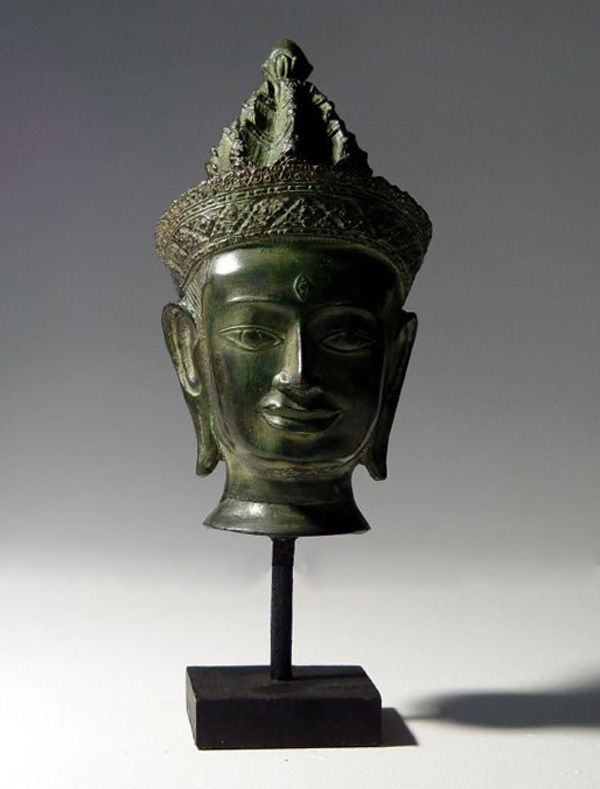 The stanch set of the lower jaw, firm modeling of the forehead, and prominent cheekbones - all hallmarks of the more masculine Angkor style of Khmer art - express the sense of martial fortitude almost wholly lacking in the gentler and more decorative Sukhothai art. The third eye in the middle of the forehead identifies the image as that of Siva.